People today use the internet to look for products, read the news, and look at houses for sale. You are probably a real estate agent who is looking for a way to reach out to your clients so you can offer houses and homes. One way to reach out to your clients is to have your very own website. Many people who are looking for new houses go to the internet and click on the first websites for realtors that come up then browse for houses. They then choose the house that looks right for them and contacts the real estate agent to check out the house. When everything goes well the client buys the house. It is that easy to find houses with the use of the internet and it is easier than driving to find a house for sale. 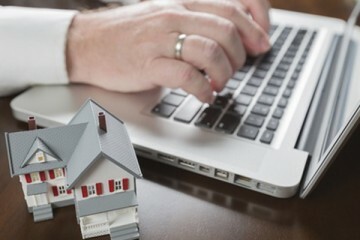 If you are hesitant about getting a real estate website, here are more reasons to get one. Starting a website where your potential clients can browse houses and lots is beneficial for you as an agent. That is if you are competitive in the market. If you just create a website without promoting it, you will have a hard time gaining new clients. You must utilize your website, blog, and social media in order to be a relevant source of useful information. In every business, you must be competitive and unique from other competitors in order to be noticed. Your website is a way to build your brand online because it embodies your services, authority, and goals. People who buy houses and sell houses must have someone trustworthy that they can work with. Virtually everybody goes to the internet when they are looking for homes to buy. As real estate agents, it is necessary to make good use of the internet to make sales. The internet is such a convenient tool that being in it will let you get in touch with your current and future clients. It is important to have a personal branding in the field of real estate. 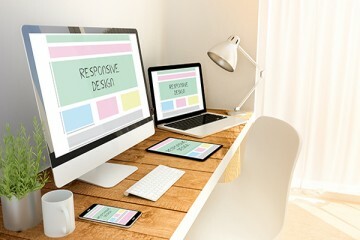 Even if your agency or broker provides you with a website as part of your employment, it will not do. You do not want to be on the same site as other agents because it is the company that owns the site. So, it is best to distinguish yourself from the other agents by having your own website. Let your clients know about the services you offer by leading them to your website. It is the best place for buyers to know more about you and let them feel that they found the right agent for them. Adding tools to your website such as mortgage calculators, loan information, MLS listings, and buyer tips will let the website’s value grow. When your website has blogs that would interest page viewers, it will possibly gain new clients. Blogging is a way to demonstrate your knowledge regarding real estate. And if people read it, they will feel that they will not hesitate to contact you. Websites for realtors do this so that they will gain a list of clients who they can call for house inquiries and information. How to Design a Website to Generate Leads in Real Estate? 2004-2019 Copyright INTAGENT® - Real Estate Technology All Rights Reserved.